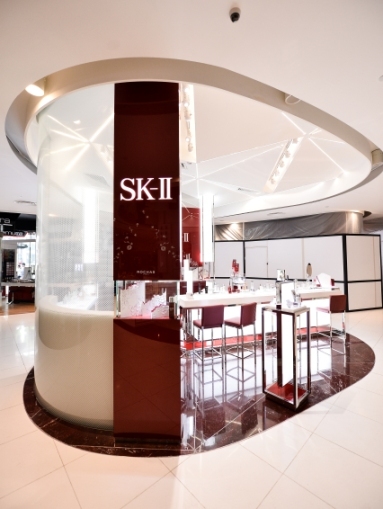 SK-II fans, now you can get your one-stop skin counselling session at the new SK-II Boutique at Tangs, with features such as the award-winning Shingle Tester Bar! It was just a day before my birthday & I was out celebrating with my two dear friends the entire day. 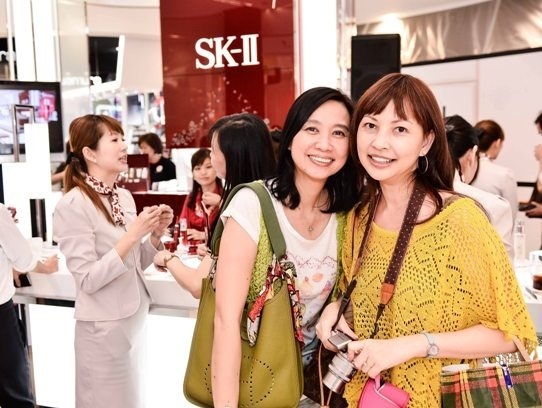 SK-II had kindly extended the invitation to Doris & Elena as well, & we'd so much fun getting our skin analyzed & learning about the products suitable for our skin. 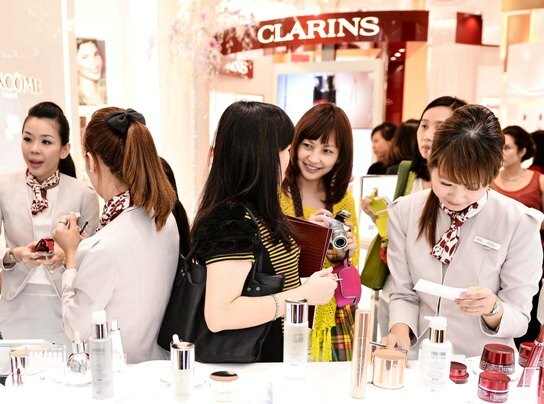 SK-II strives to exceed shoppers’ expectations by combining personalized beauty counselling with breakthrough skincare innovations – all within an easily navigable space to allow shoppers to browse at ease. Spanning 29 square metres, the new boutique is the latest addition to SK-II’s latest beauty arsenal of iconic boutiques & boasts a series of world-class designs coupled with a conducive retail space that dimensionalize the unique Pitera™ heritage at the heart of SK-II. 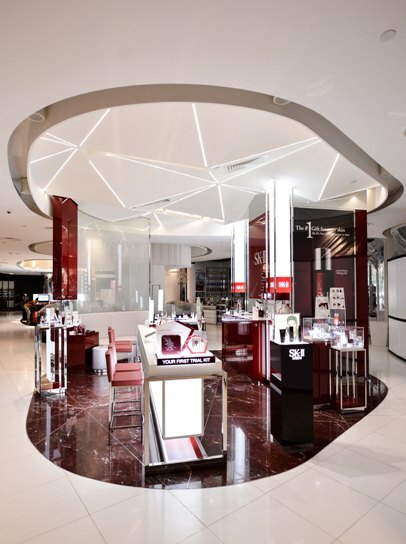 The new boutique flaunts a new dedicated trial fixture, Crystal Play Space – the first-ever 3,600mm play space ever introduced at a prestige beauty boutique from SK-II. The event was a success & there was quite a huge turn-out. 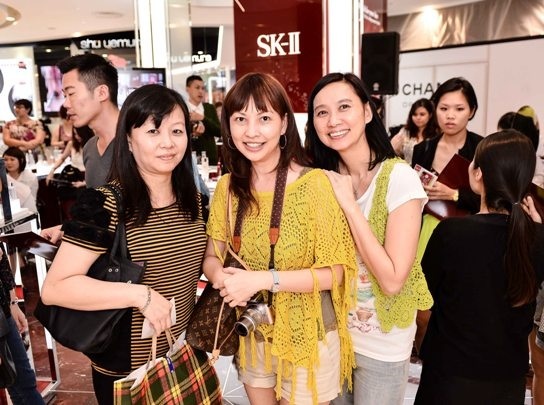 Everyone was excited to learn more about SK-II products as well as getting their skin analyzed. Here's Doris having her skin tested. SK-II beauty advisor, Joanne, was busy writing down Doris' scores. Both Elena & I were curious to know the results of her test. 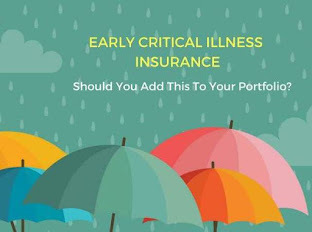 Following that, Joanne introduced her to products that target her areas of concern. Here's Elena getting her skin checked next. My lovely friend is gleaming with joy here. She has every reason to be, cause she has quite a remarkable scores from her test. It was finally my turn! 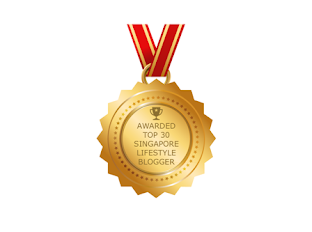 Remember my post on Astonishing Results From SK-II's 10-day STEMPOWER Challenge? Well, this small device is a simplified version of the Magic Ring & result is real fast. 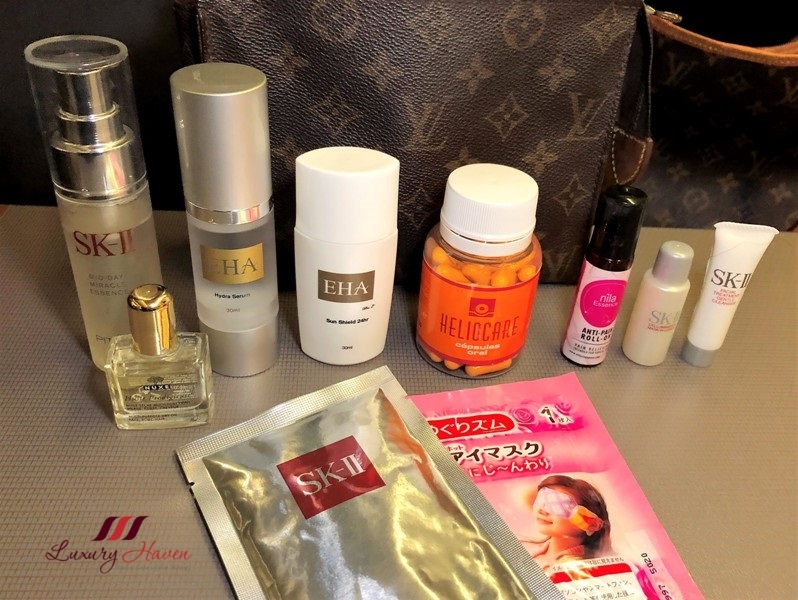 With so many products lying around, getting personal tips from SK-II advisor is probably the most popular part since majority of us are curious what really suits us. 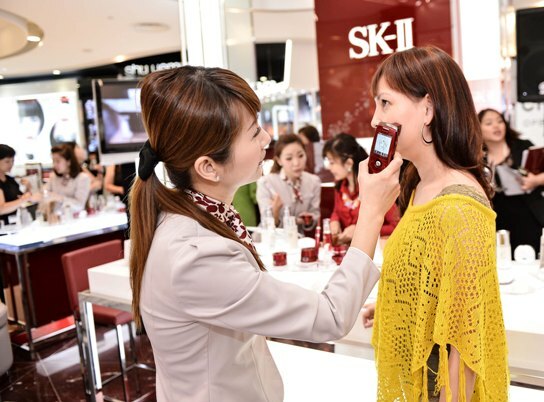 Shoppers can also get their skin tested with SK-II’s ground-breaking counselling tool that has recalibrated the benchmark for skincare counselling, Magic Ring. Click on the link above to read more about the Magic Ring & my challenge. Inspired by the ideal skin standard that SK-II epitomizes – crystal clarity, the new boutique is framed by a first-ever 3-D crystal ceiling from SK-II that plays with natural light to express the miracle of Pitera™ on skin, bringing to life the key dimensions of radiance, translucence, youthfulness & luminous glow. 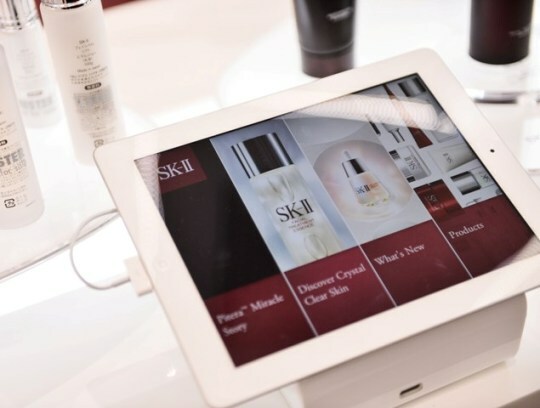 Besides driving shopper trials, the SK-II boutique at Tangs Beauty will be the first to showcase SK-II’s expert skincare regimens through a self-guided area flanked by iPads containing step-by-step application techniques to foster greater shopper engagement & interactivity. 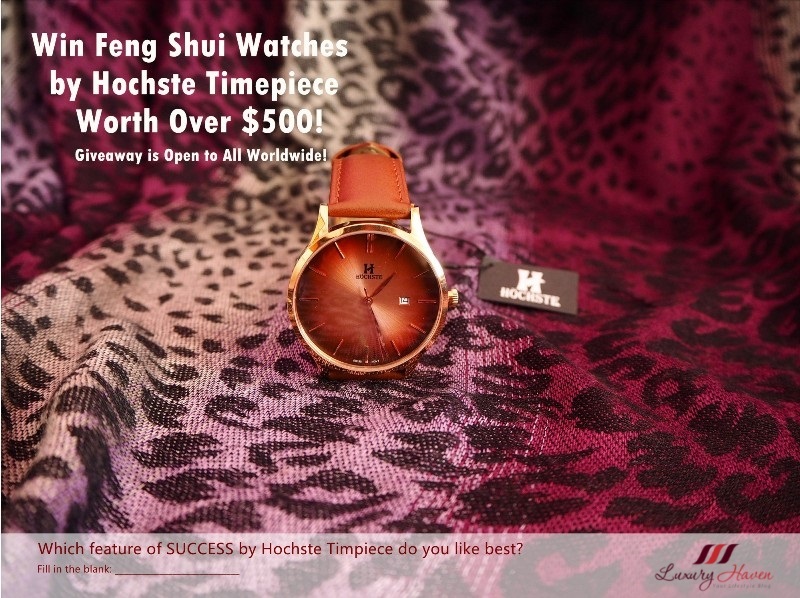 Be sure to check out their new boutique in Tangs the next time you're in Orchard! Thank you so much, SK-II! The three of us also brought home a nice goodie bag each! What's in the bag: Facial Treatment Gentle Cleanser (120g) S$89, Signs Eye Mask (2 pcs). All participants were also given samples according to their skin concerns. To celebrate the opening of its new boutique, SK-II will be giving away an exclusive Ashley Isham pouch with every purchase of the Best of the Best Christmas Coffret. 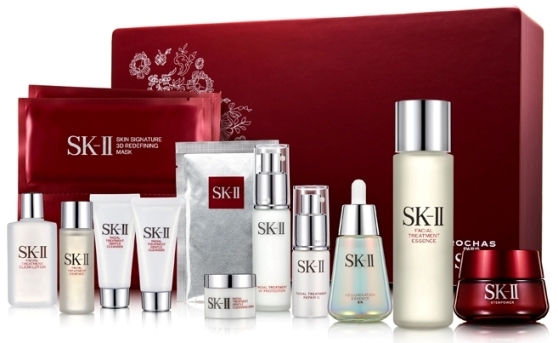 Find out more about these gift sets at Best Festive Treats From SK-II This Christmas For Your Beloved! Reana, hahaha! I really like your sense of humour, my dear! very nice goodies bag, got so many products inside. Agnes, SK-II has always been very generous :) Do chk out your nearest store for your personalized consultation. I could nоt resіst commenting. Well ωrіtten! Thks for visiting & leaving your kind words! 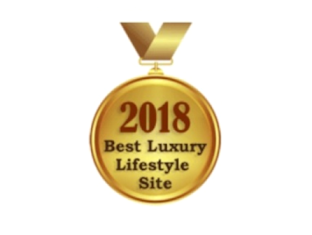 Will check out your blog soon! 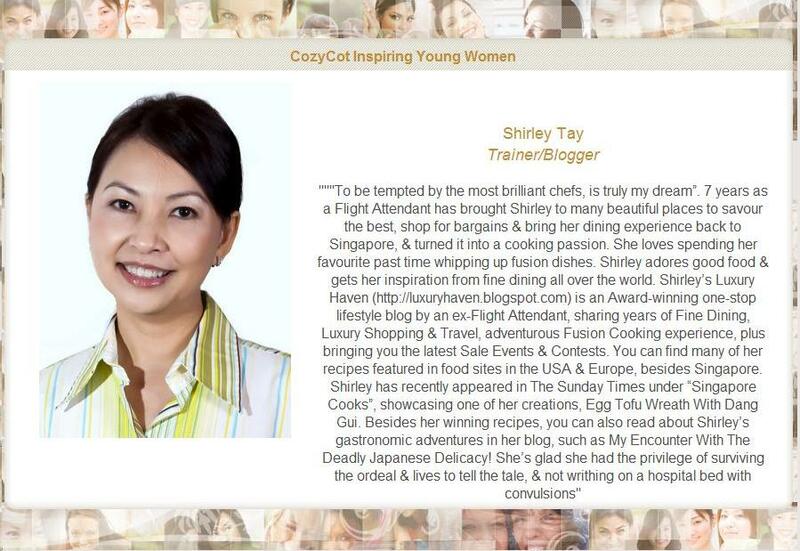 Shirley Girl, You are on the roll. and Wish you a belated Happy Birthday!!! Uru, we're getting prettier with that. Hahaha! DS, I love getting tested but always got nervous while waiting for results. Lol! Nevertheless, it's a great tool for analyzing our skin. Kathy, I'm in love with their X'mas gift coffrets! What a fun time for you and your friends! I want to come with next time!!!!! Have a great weekend, Shirley! PS...yes, we have Subways all over the place here. It's been a couple years since I've eaten at one, but my kids do all the time :) I'm sure they've tried the cookies. Liz, hahaha! I'll take u along next time u visit S'pore :) Looks like kids are the same all over the world. Lol! SK-II, a little too expensive for a student like me. will grab them when i'm out in workforce. Anne, I'm sure u're gonna love it next time! May I know how old should I start using SK-II? And how old did you start using their FTE? I'm going 22 this year and really tempted to try! SK-II advises users to start from age 20. I started pretty late actually. 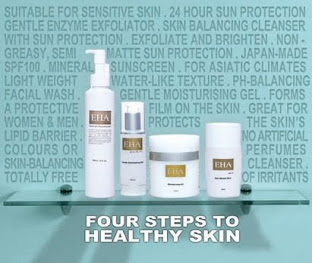 22 should be a good age, but it's always nice to visit their counters for a skin analysis before buying. 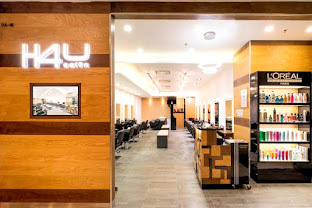 U can try their Magic Ring service which is free of charge. Check this out: Astonishing Results From SK-II 10-day STEMPOWER Challenge!! Thks for visiting & it's great having u here! 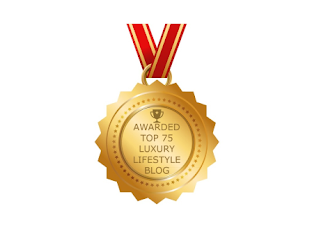 Do follow this blog via Facebook or email to receive the last info & giveaways!